High navy blue socks in cotton knit with jacquard band details and reinterpreted “Lnvn” logo. 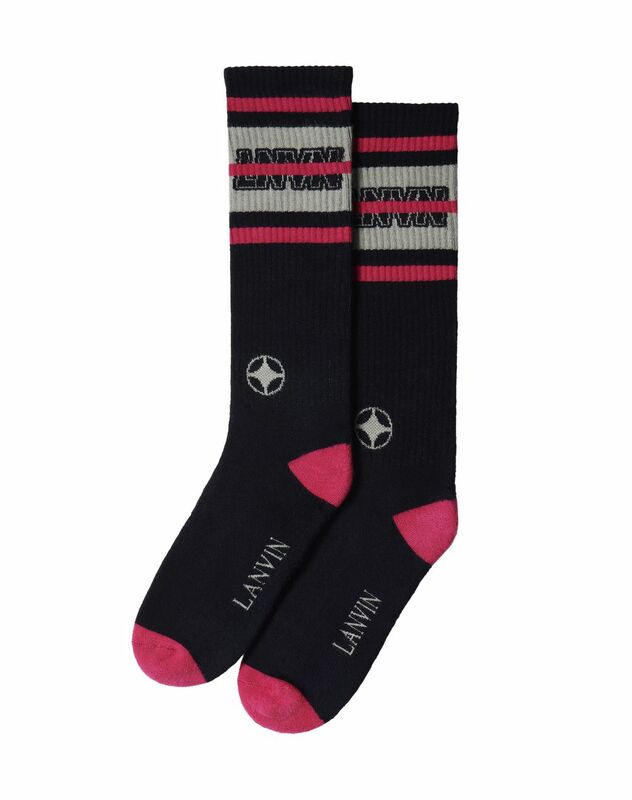 A new arrival to the collection, Lanvin’s high cotton-knit socks come in a range of exclusive colors. Embellished with jacquard “Lnvn” print finishes and graphic bands, they will add a sportswear touch to your outfits. Main materials: 80% cotton knit, 18% polyamide knit, 2% elastane. One size. Made in France.